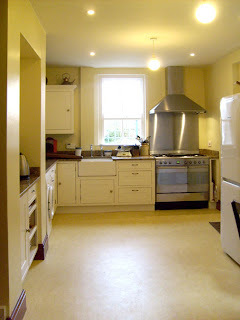 House of Onika | Interior Design Blog: Kitchen Renovation Project: My Edwardian Townhouse Kitchen. Kitchen Renovation Project: My Edwardian Townhouse Kitchen. We love seeing renovations. The after part of it that is. So we were ecstatic to stumble upon Anje Yelf's kitchen project revamp. As you witness your kitchen gradually falling into disrepair and the trendy distressed look starts to take on a new meaning; there comes a point when you have a need to hit the kitchen with a bag of dosh; some builders; kitchen designers and flooring tradesmen. Magazines (like 'Period Living and Traditional Homes') encouraged the little grey cells with fresh ideas and sources of potential kitchen paraphernalia. After some months of research, we decided that not only did the kitchen need a make-over, but so did the flooring in the hall and if we were to put down an entire new floor between front and back doors, then we would need to lay a new water pipe (the current pipe being at least 50 years old) from where the main pipe entered our land; up the path, hall, under the stairs and finally under the kitchen floor to connect with the supply in the house. In other words, we needed to renew the front path as well. The simple kitchen revamp was turning into a sizable mini project. We deliberated on whether we really needed to renew the water pipe as we knew it wasn't lead. This would save us nearly £2,000. In the end we decided to go with a gut feeling that if we put down an expensive flooring, you could bet that the water pipe would spring a leak. The water pipe had to be done. 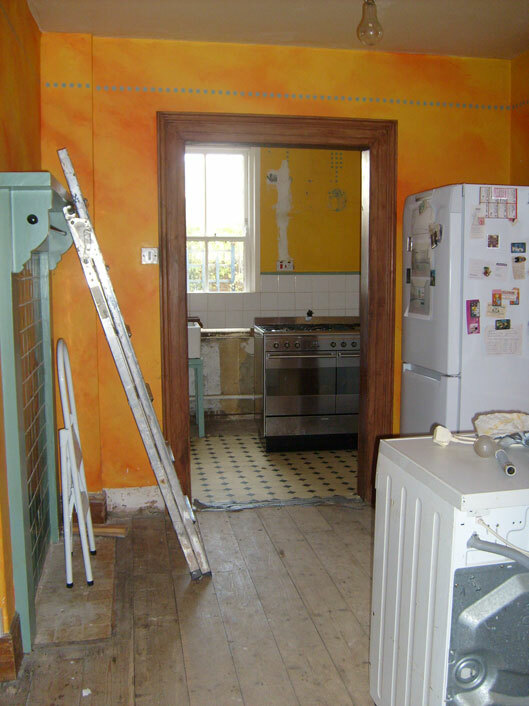 Follow the 6 weeks of her kitchen transformation here.